Graph your data in beautiful charts that display your branding. Choose from a variety of survey graph types and layout themes for presenting your questionnaire analysis. Customize your chart fonts and background images. 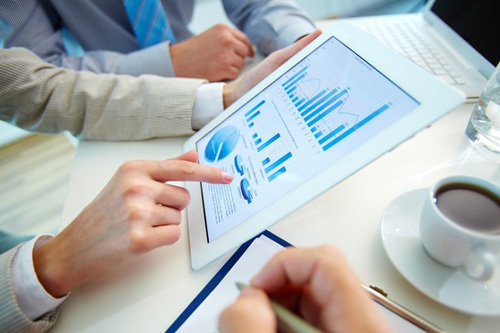 Real time charts provide you with a fast questionnaire analysis of results that are displayed in a customized dashboard. The dashboard charts can be configured to automatically refresh the survey graph every 60 seconds with the latest questionnaire data. Keep an eye on your business – check how your business is running at a glance and actively monitor its health. The real time updating means that you can make informed decisions on the fly. Ensure you are making the right choices, especially when your situation is time sensitive. Harvest Your Data’s charting functionality need not be limited to the boardroom – try bringing the best out of your data at conference events. For example, innovative conference exhibitors could display real time charts of survey results collected in their booth on a 50 inch monitor. Because the Harvest Your Data dashboard can be accessed from any computer, 24 hours per day, you can even monitor and chart data collection results from home – no more sleepless nights spent worrying about how your data collection is going. The Harvest Your Data charts are completely customizable, allowing you to keep your presentations aligned with your branding. Ensure elegant and professional charting by keeping your brand image consistent from start to finish.